Miss Mac the Church cat takes us through the Church year and through the seasons of nature. We meet her friends, share her adventures, thoughts and reflections. This amusing tale, ranging from the profound to the comical, is brought to life by, Miss Mac and her friends through a remarkable performance by John Chaloner, who served her for many years. Miss Mac The Church Cat CD Audiobook by John Chaloner was published by Redemptorist in May 2006 and is our 40988th best seller. 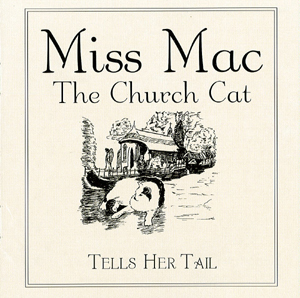 The ISBN for Miss Mac The Church Cat CD Audiobook is 9780852313237. Be the first to review Miss Mac The Church Cat CD Audiobook! Got a question? No problem! Just click here to ask us about Miss Mac The Church Cat CD Audiobook.